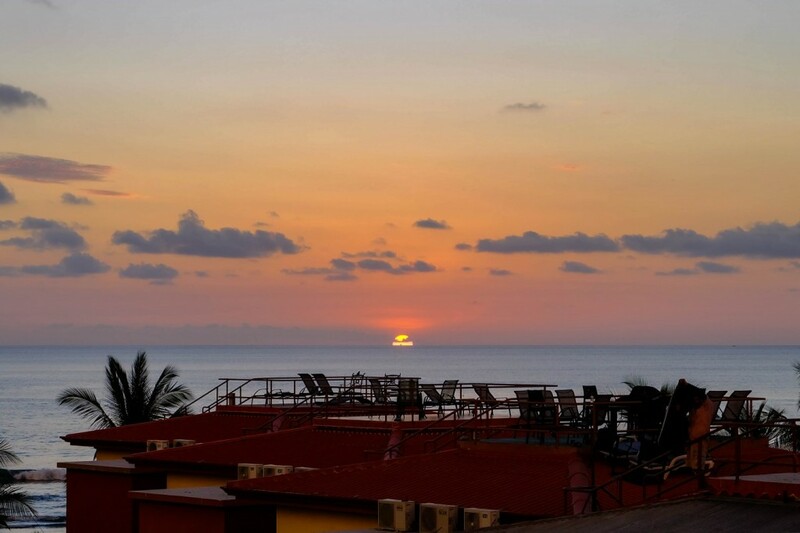 Central America's Best Sunrises and Sunsets » Lavi was here. I’m not going to lie: I’m a sucker for sunrises and sunsets. Aren’t we all, though? I’m lucky enough to have been to some beautiful places and I’ve seen incredible sunrises and sunsets all over the world, but if I’ve learned anything in the past four months, it’s that Central America has the best sunrises and sunsets I’ve ever seen. Don’t believe me? I have proof, amigos. 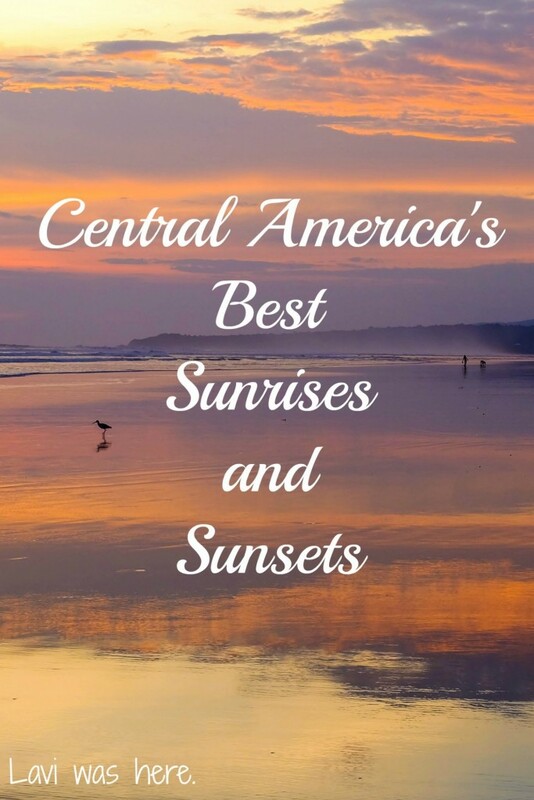 If you follow me in Instagram, you’ve probably seen a few of these gems before, but I’m so in love with the sunrises and sunsets I saw in Central America that I wanted to narrow down a list of my favorites. Most of the time when I woke up for the sunrise, it was a serious struggle. I regret not waking up to see a sunrise in every place I visited, but I was always rewarded with a gorgeous view when I did. Unfortunately, I have fewer sunrise shots than sunsets, especially later in my Central America trip as I started to lose some steam. I treasure these special moments I captured in the quiet hours of the morning. 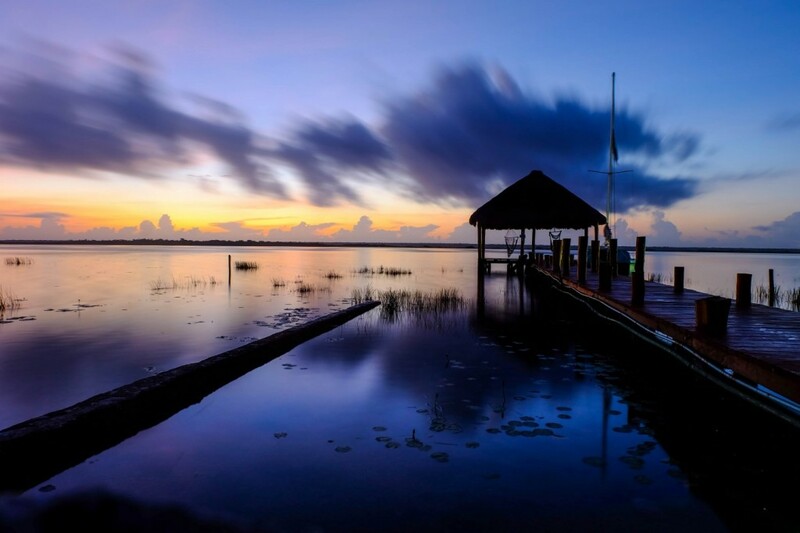 Mexico might not technically count as Central America, but this sunrise in Bacalar was the first I saw on my trip and it took my breath away. 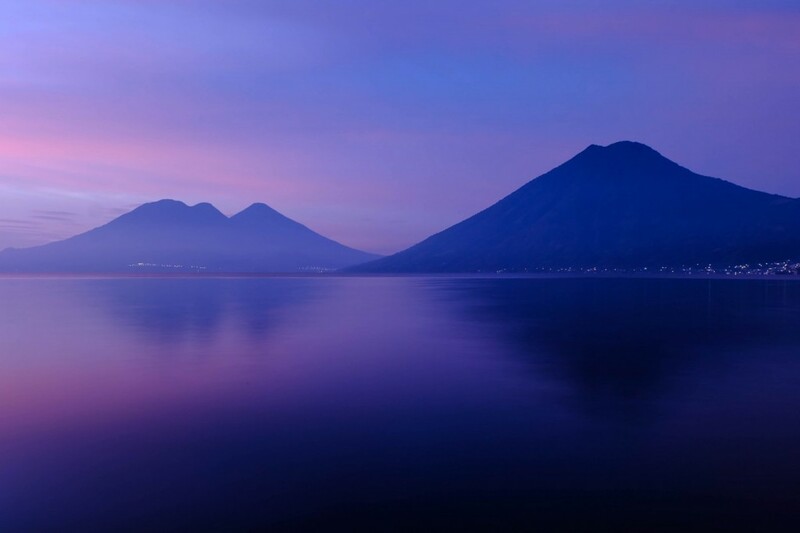 I’ve never seen the colors change so much during a sunrise than when I was sitting on a dock in San Marcos along Lake Atitlán. 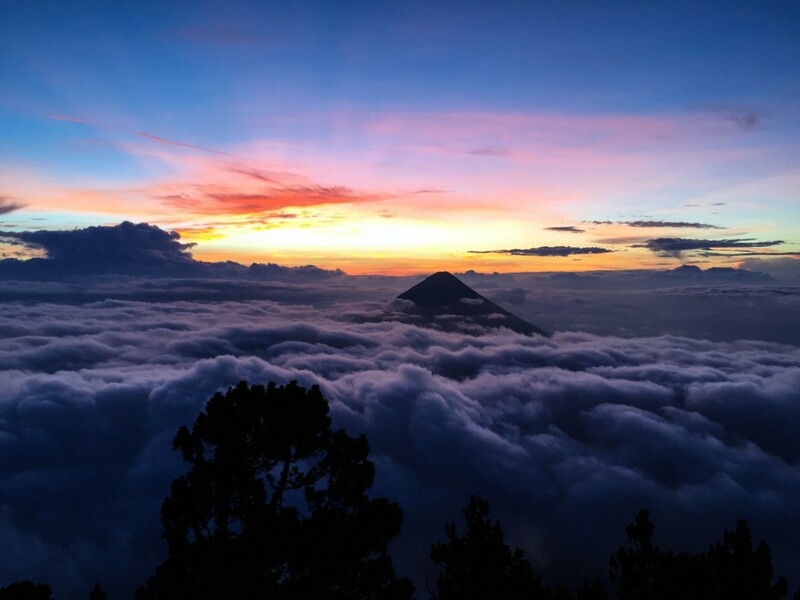 I saw some of the most incredible views while hiking Volcán Acatenango in Guatemala, including Volcán de Fuego at dusk and Volcán de Agua at sunrise while hiking to the summit. 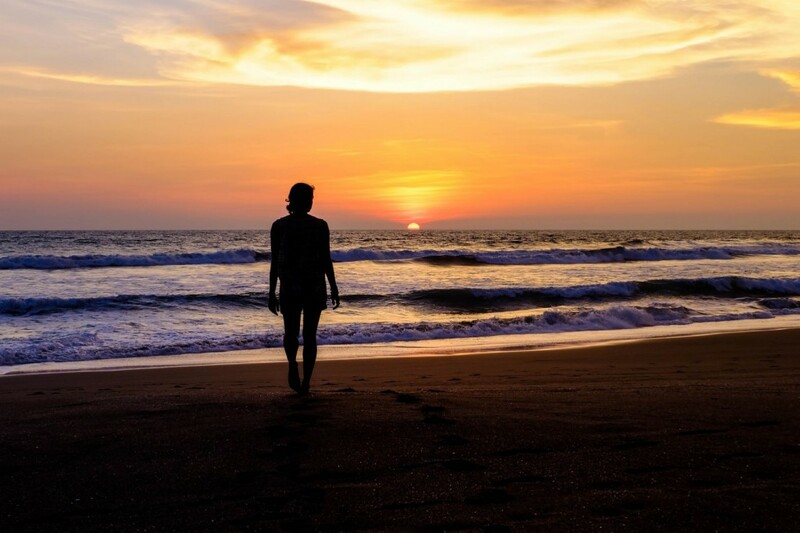 I woke up before the sun rose on the beach in El Cuco, El Salvador and didn’t expect it to be so fiery and bright! 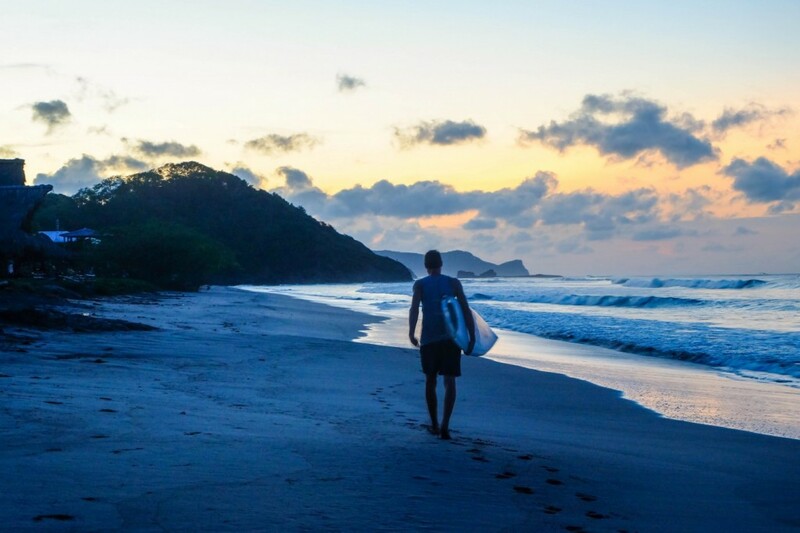 Surfers at Popoyo Beach in Nicaragua woke up at sunrise to catch some of the best waves of the day. 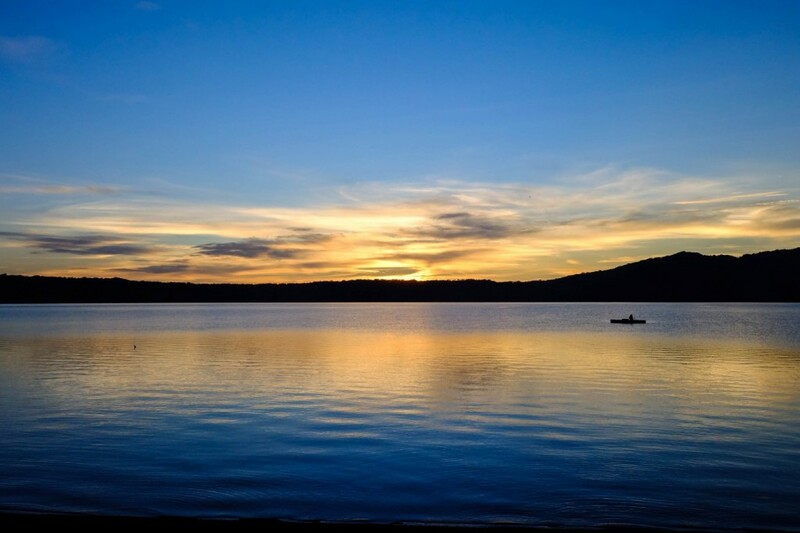 The crater lake Laguna de Apoyo was one of the most stunning places I went to in Nicaragua and I had one of the happiest days in Central America there. Watching the sun rise over the lake was so quiet, peaceful, and perfect. I love how sunsets are the transition from day to night and are always a beautiful way to end the day. Obviously, it was much easier for me to be awake to watch and capture sunsets in comparison to sunrises. 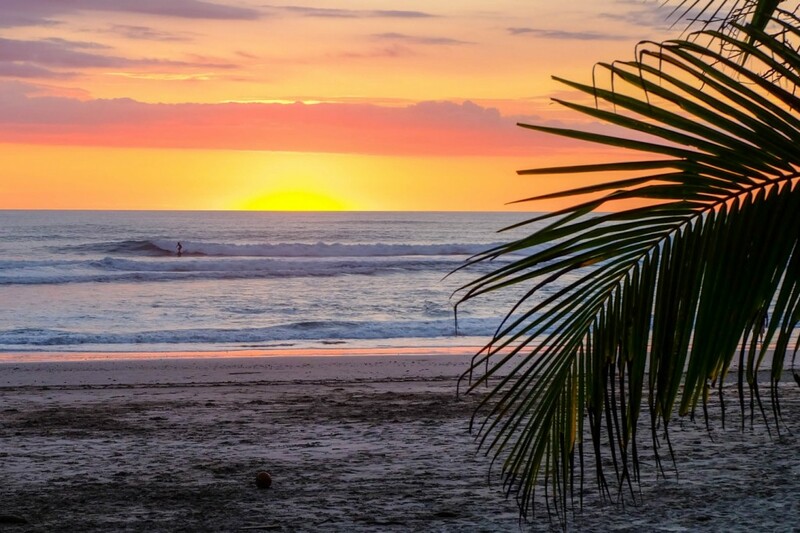 Every day was a good day when the sun set in such a colorful array in Central America. 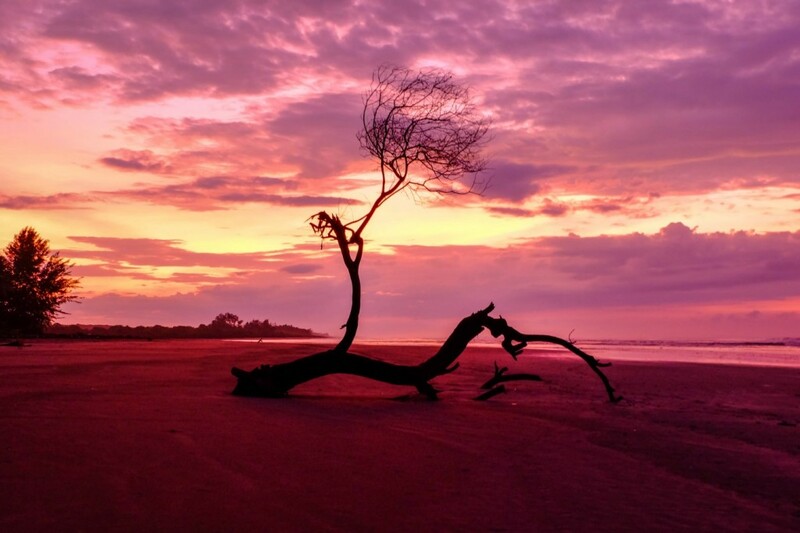 El Cuco’s cotton candy colored sunsets were the first sunsets I’ve ever seen on the Pacific coast. 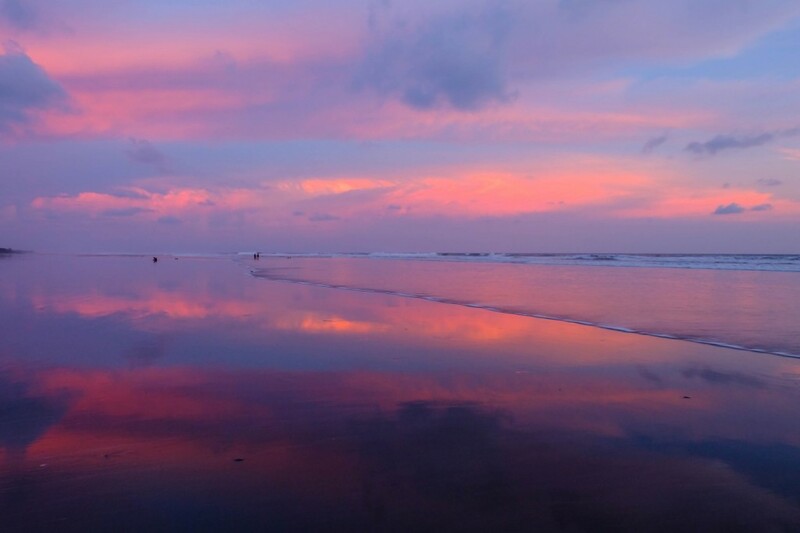 The wet sand mirrored the sky perfectly. 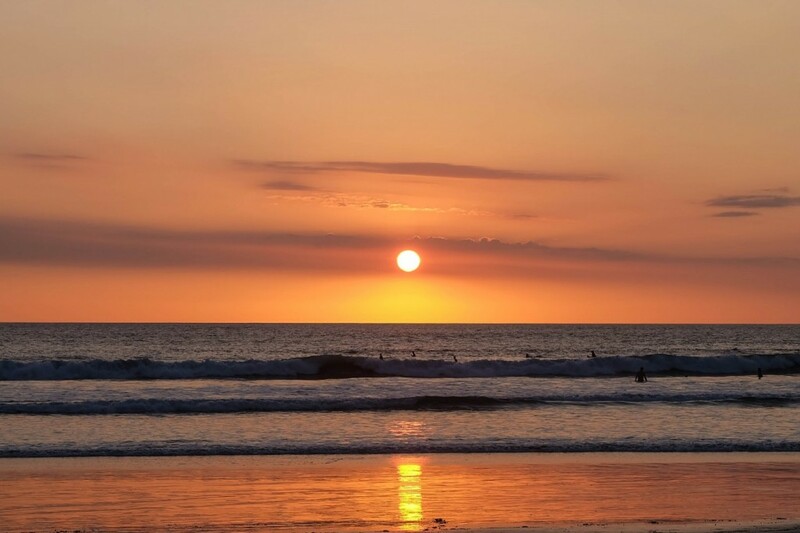 My first sunset in Nicaragua was a good one! I’m pretty proud this self-timer shot worked out. There were only a few people on the beach and I felt like I had the sun all to myself. Some of my favorite sunsets were in Popoyo. Jogging along the beach and watching the ocean and sky turn into these colors made exercise a little less miserable! Sunsets with volcanic views can’t be beat. 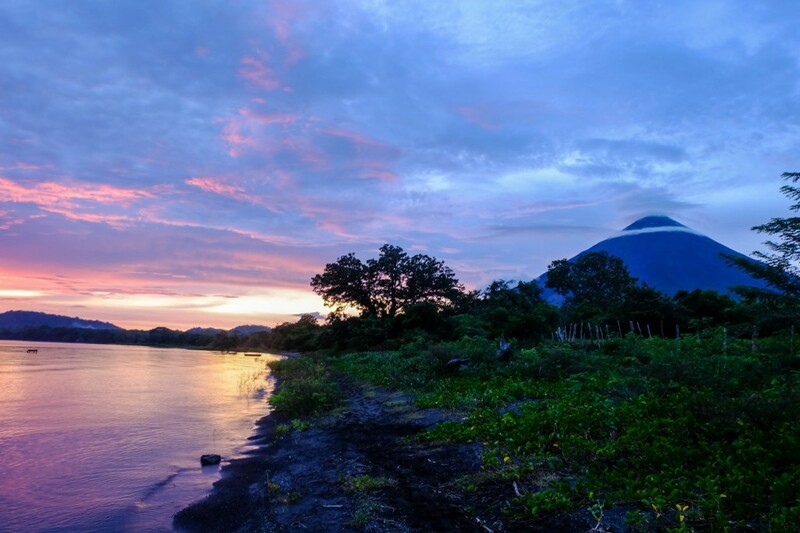 Especially when bicycling around the incredible Isla de Ometepe. The contrast of the sun, sand, and sky made my photos of Playa Carmen look like a striped flag. 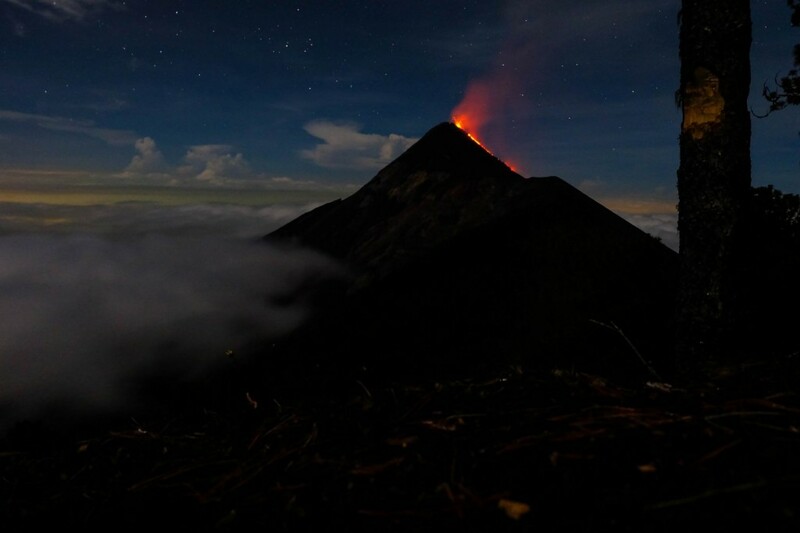 No complaints here; this was one of my favorite views in Costa Rica. 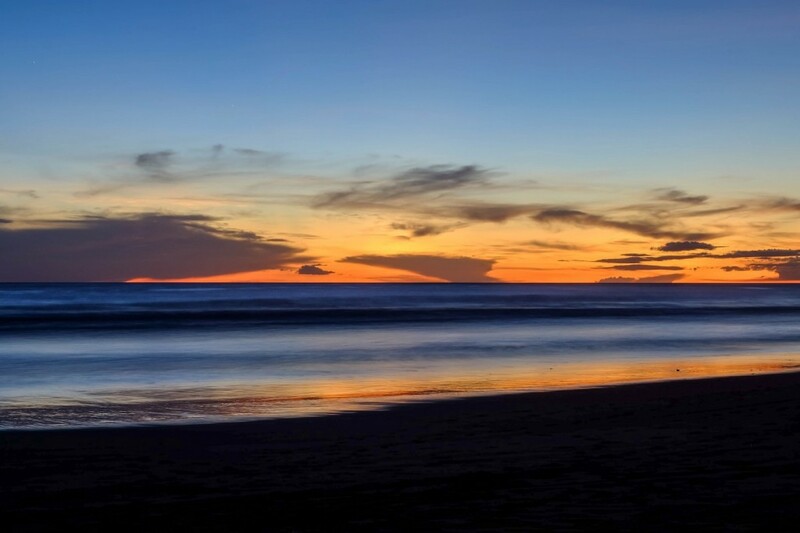 I love surfing at sunset and watching others enjoying their sunset surf. It’s the last set and prettiest set of the day with this backdrop. Just like us, the sun likes to take a dip in the ocean, too. Every time I watch the sun disappear into the ocean like this one in Jacó, I remember the first sunset I saw in Rio de Janeiro. Everyone clapped and cheered as the sun set and the day turned into night; it was one of my favorite travel moments. 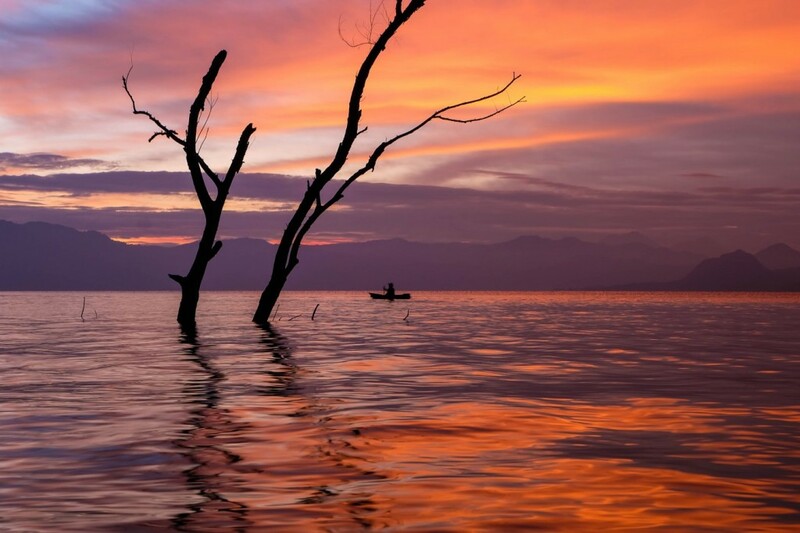 Where in the world have you seen the most stunning sunrises and sunsets? Thank you! I hope you enjoy following along! Great pics Lavi. I continue to enjoy your posts. Looking forward to your next adventure!